When New Horizons sped past Pluto and its moons in July 2015, it revealed some incredible new worlds to explore. They are no longer just very tiny dots of light in the sky, they are actual places, with diverse geological wonders. Now, for the first time, global maps of Pluto and its largest moon Charon are now publicly available, featuring our first detailed views of these two bodies in the far outer reaches of the Solar System. 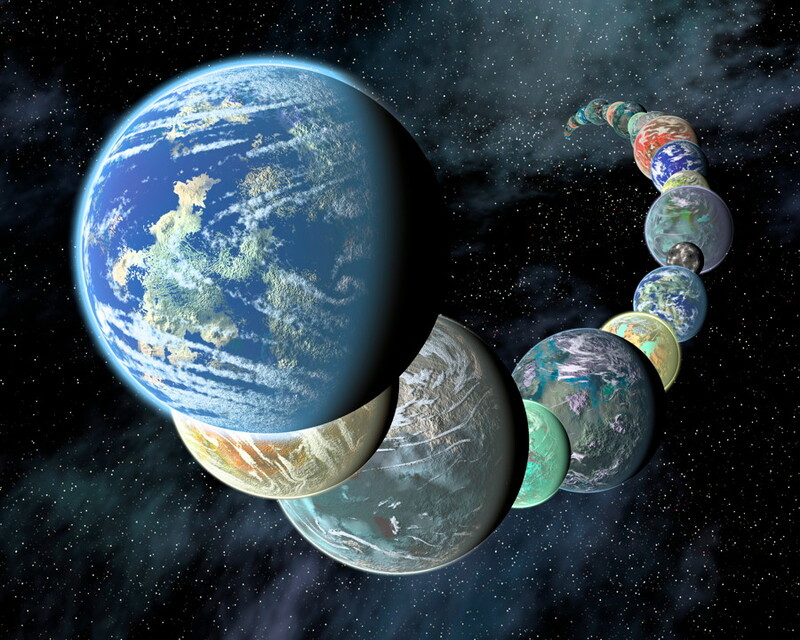 They are the most distant objects to be mapped so far. 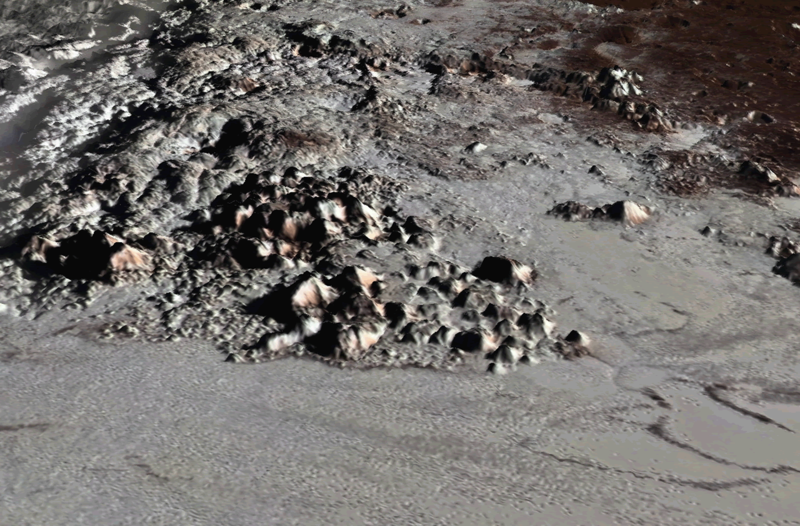 The maps, both cartographic maps and topographic maps, were created over a two-year period from images taken by the Long Range Reconnaissance Imager (LORRI) and Multispectral Visible Imaging Camera (MVIC) systems on the New Horizons spacecraft. This work was led by Paul Schenk, Universities Space Research Association (USRA) Senior Staff Scientist at the Lunar and Planetary Institute. 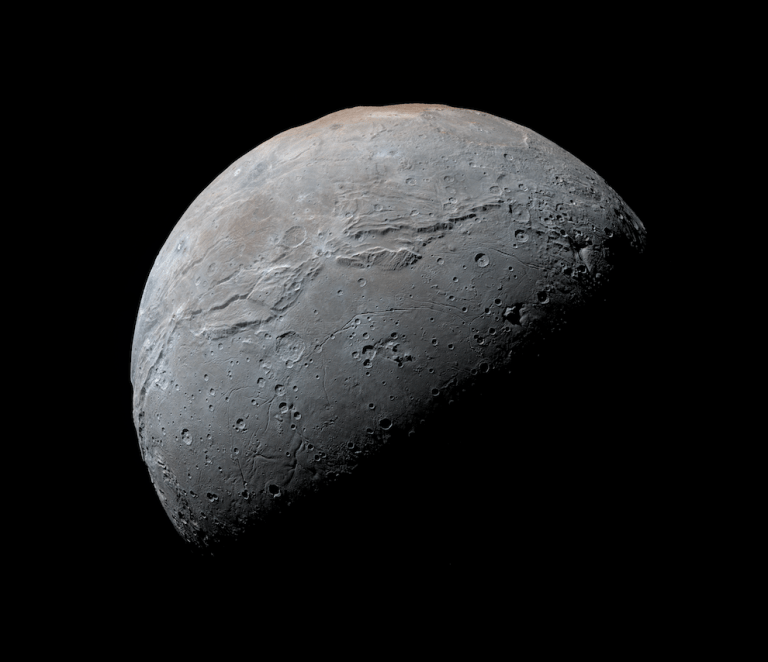 The maps, as well as the process describing how they were made, have been published in two new articles in the journal Icarus – Basins, fractures and volcanoes: Global cartography and topography of Pluto from New Horizons and Breaking up is hard to do: Global cartography and topography of Pluto’s mid-sized icy Moon Charon from New Horizons. They have also been archived into the Planetary Data System and will be available for use by both the scientific community and the public. All of the images were assembled into large mosaics; this process was labor-intensive, with surface features in overlapping images needing to be carefully aligned. Digital analysis of stereo images obtained by both cameras were used to create the topographic maps for each region. The regional maps were then integrated together to create the global maps for both Pluto and Charon. As the maps, and of course the images themselves, show, Pluto and Charon are complex worlds, more geologically active, past and present, than had previously been considered possible. 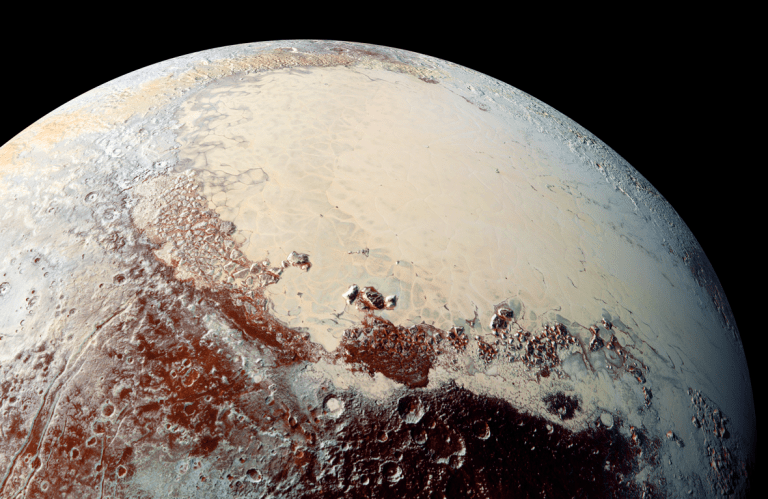 Pluto has vast, smooth plains of nitrogen ice and glaciers, soaring mountains of water ice and tall “ice spikes” similar to penitentes on Earth. The topographic map shows that the ice sheet within the 1000-kilometre (625-mile) wide Sputnik Planitia plains region is an average of 2.5 kilometres (1.5 miles) deep while the outer edges of the ice sheet are even deeper, at 3.5 kilometres (2.2 miles) below Pluto’s mean elevation (“sea level”) surface. The edges of Sputnik Planitia are lowest known regions on Pluto, something only easily seen in the stereo images and elevation maps. Another feature seen in the topographic maps is a 3000-kilometre (1864-mile) long ridge and trough system extending north-to-south from near the western edge of Sputnik Planitia. Charon also displayed some surprisingly complex geology. The moon has deep valleys and mountain ridges, evidence for a very active tectonic past billions of years ago. The evidence also points to an ancient, but now frozen, subsurface ocean. Then topographic maps also reveal deep depressions near the north pole that are about 14 kilometres (8.7 miles) deep; that is deeper than the Marianas Trench on Earth. In contrast, there are equatorial troughs that also feature mountainous relief, about 8 kilometres (5 miles) tall. In the northern hemisphere, there are regions of fractured terrain and tilted crustal blocks that are thought to result from cryovolcanism. Meanwhile, New Horizons continues to be in excellent health, and is on track for its next destination, another Kuiper Belt Object (KBO) called Ultima Thule (aka 2014 MU69), which it will reach in just a few months now (165 days as of today), on Jan. 1, 2019. New Horizons flew quite close to Pluto, but it will fly even closer to Ultima Thule, only 3,000 kilometres (1,900 miles) from the surface. It is very small, about 32 kilometres (20 miles) across, so little is known about it yet, even just what it looks like. Assuming the flyby is successful, we should then have maps of that little world in the near future as well. 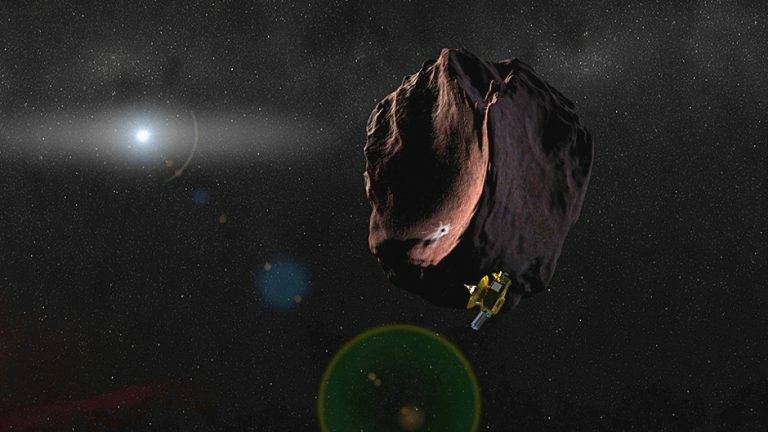 Last month, New Horizons “woke up” from its hibernation mode to prepare for its encounter with 2014 MU69. Not that long ago, it also wasn’t known what Pluto and Charon really looked liked, since they only appeared as tiny, fuzzy blobs of light, but now we have detailed maps of these very distant small worlds in the outer fringes of the Solar System – an incredible accomplishment. More information about New Horizons is available on the mission website.